This course is for students who already have a degree in any subject and are looking for progression and further challenges which can be fulfilled by undertaking a rewarding and lifelong career within the nursing profession. City is the first institution to offer an MSc of this kind, crossing both the adult and mental health nursing specialisms. The course was designed to meet the need of the healthcare sector and the ambitions of many nurses to be able to fully support their patients, both physically and mentally. The MSc in Adult and Mental Health Nursing prepares you for a rewarding career at the forefront of modern healthcare. You will graduate as a nurse eligible to register with the NMC as an adult and mental health nurse, leaving you equipped to support the delivery of quality healthcare in a contemporary health service. Mental illness has a huge impact on the physical health of an individual. People with mental health conditions are at a higher risk of experiencing physical health problems, such as diabetes and heart conditions. In addition, people with long-term physical health conditions are more likely to suffer from a mental health issue, particularly depression. There is a need to develop a nursing workforce that is fit for the current demands of healthcare in the UK. This Masters programme, where you will be eligible to apply for registration with the NMC as a registered nurse in the mental health and adult fields of nursing, will provide you with the opportunity to meet this demand. Please be advised that this programme has been approved by City, University of London for delivery. The programme is due to be considered for approval by the Nursing and Midwifery Council, which may result in changes to the content and structure of the programme. 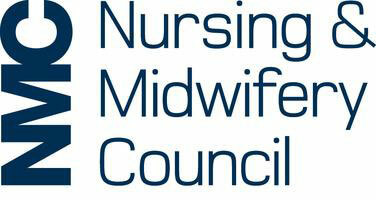 We hope to confirm Nursing and Midwifery Council approval as soon as possible. The information on this course page currently reflects the planned course content, and will be updated if any details are changed. Successful completion of the course will continue to lead to eligibility for recommendation to the NMC for registration as a nurse. a lower second-class honours degree or above. an awareness of health or health-related care issues and have worked at least 500 clinical hours to be eligible for the MSc programme. a grade C (4) in GCSE English and Mathematics or an overseas equivalent. You also will be required to have occupational health and enhanced disclosure and barring service clearance. Academic and character references will also be requested. You must complete the APL process related to theory before you start the programme. You will be expected to demonstrate achievement of the equivalent of 675 of the theoretical hours and map learning against identified learning outcomes from Unit 1 of the BSc route through the programme. You will need to have APL 500 clinical hours to be eligible for the combined programme. Shortlisted applicants will be required to attend a Selection Day held at City, University of London before an offer can be made. At the Selection Day applicants are interviewed to assess their values match those of the NHS constitution, as well as having the opportunity to find out more about the course from our staff and students. For further information, please visit our Selection Day page. IELTS: 7.0 overall band score; with at least 7.0 in the listening, reading, writing and speaking sections. You must include evidence of your IELTS score, or the date you will be completing the test, on your application. Applications should be made through UCAS undergraduate (course code 3412). For operational reasons, applications should be made through the undergraduate section of UCAS and not UKPASS using the course code "3412". City's institution code on UCAS is "C60". When submitting an application please ensure you list all your educational qualifications including those achieved at GCSE (or overseas equivalent) as these form part of the entry criteria. City has been delivering nursing education since 1877. * Fees in each subsequent year of study (where applicable) will be subject to an annual increase of 2%. We will confirm any change to the annual tuition fee to you in writing prior to you commencing each subsequent year of study (where applicable). The Department of Health and Social Care has now confirmed that from August 2018 this course will be eligible for tuition fee and maintenance loans via Student Finance England. This will bring funding arrangements in line with undergraduate pre-registration courses. If you have already received a student loan for a previous undergraduate course, you are eligible to apply for a second loan for this course. Find out more funding information for studying nursing, midwifery and the allied health professions in England from the official Council of Deans of Health website. The tuition fee for Non-UK/non-EU students will be different and it is also subject to confirmation. Details will be confirmed on the course pages. The School of Health Sciences believes that exceptional academic and clinical performance should be recognised and rewarded. We have several scholarships available for students starting on our courses this September and January. Visit the School of Health Sciences Postgraduate funding page for more information. You will spend around 50% of your time on clinical placements. Your practice experience will take place in a variety of settings such as specialist units, hospital wards and primary care settings such as Health Centres and patients/service users’ homes. Most placements are within our 'community of practice', a partnership of healthcare providers within North East London - allowing you to become familiar with the needs of the local community and its healthcare providers. 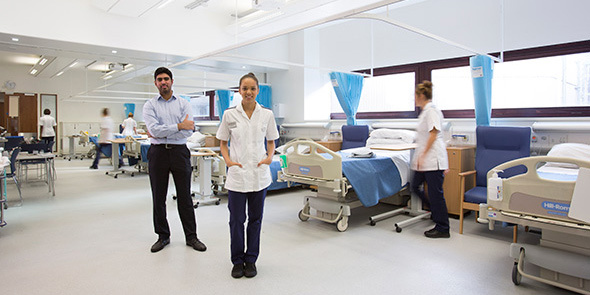 The Clinical Skills Centre at City offers you excellent clinical training facilities. In addition, medium-fidelity simulators and laboratories, including a biology laboratory, will allow you to rehearse skills in preparation for practice in a range of placements, including clinics and people's homes. The School of Health Science is one of the first health schools in the UK to open a Technology Enabled Care Studio, City TECS . City TECS is a specially designed studio flat at our Northampton Square campus, fully equipped with the latest telehealth and telecare technologies, providing you with the unique opportunity to learn how to use the latest and future healthcare technologies while studying. We offer a variety of accommodation options and support services for postgraduate students. Read more about our postgraduate halls. Course timetables will be available closer to course start date and can be accessed from the Student Hub. Assessments are varied to meet the practice and academic challenges of the MSc, while recognising the need for motivating, realistic and relevant activity. The practice element is assessed by the development of a record of achievement in practice and Objective Structured Clinical Examinations. Modules are also assessed through essays, seminars or presentations. As part of the MSc you are expected to complete a dissertation, this will involve a systematic literature review of integrated practice, which is the foundation of this programme and the future of contemporary nursing practice. Your final degree classification is calculated from the first, second and final years. You are given the opportunity to combine theoretical study with clinical experience. At City, you will gain experience of care delivery across a range of settings and environments. Practice experience within London will give you a unique opportunity to provide culturally sensitive care within a multicultural and multi-faith community, which reflects a diverse socioeconomic population. Your practice experience will take place in a variety of settings, such as acute hospital units and service users’ own homes. To pass each Part you must successfully complete both the theoretical and practice elements of the programme by the end of the part (NMC 2010). Part 1 constitutes one unit and has one core theory module and a practice experience module which incorporates simulated practice. Foundations in Health and Nursing comprises one core theory module - Relationship Centred Care and Concepts of Biology for Health (15 credits). The practice component of Part 1 comprises - Engaging in Practice 1(15 credits). Part 2 has field specific modules which reflect the two pathways that you will undertake. In each pathway there are two core theory modules and a practice experience module which incorporates simulated practice. Acute Care comprises one core theory module - Experiencing Acute Care, Diagnostics and Treatment: Adult Nursing (15 credits). The practice component of Part 2 comprises one module - Engaging in practice 2: Adult Nursing (30 credits). Long Term Care comprises one core theory module - Experiencing Long term Care, Rehabilitation and Recovery: Adult Nursing (15 credits). Engaging in practice 2 Adult Nursing - this continues on from Unit Two. Principles of Mental Health Practice (15 credits) - A theory and practice module. The theory component will take place in Unit Four. Acute Care comprises one core theory module - Experiencing Acute Care, Diagnostics and Treatment: Mental Health Nursing(15 credits). Long Term Care comprises one core theory module - Experiencing Long term Care, Rehabilitation and Recovery: Mental Health Nursing(15 credits). Principles of Mental Health Practice (15 credits) - A theory and practice module. The practice component will take place in Unit Five. Developing Leaders and Managers of Care has one theory module Leading and Managing in Health Care Practice (15 credits). Integrated Dissertation Module (45 credits) - The theory of this module is taught in Unit Five but the dissertation supervision with be provided in Unit Six. Integration of Adult and Mental Health Practice Module (15 credits) - A combined theory and practice module, the practice component will take place in Unit Five. Successful graduates will have an internationally recognised qualification and will be eligible to register with the Nursing and Midwifery Council (NMC). This course will accelerate your career progression and open up a variety of fascinating career opportunities across both adult and mental health fields of practice. This MSc ideally positions you to pursue an accelerated career pathway and become a future leader, clinical expert or researcher within the nursing profession. Your personal career aspirations can be discussed during your programme with your personal tutor and you may also seek help and guidance from the Careers Service. You will also be given opportunities to prepare for interviews and develop Personal Development Plans during the programme. Find out more about City and all our postgraduate degree programmes.